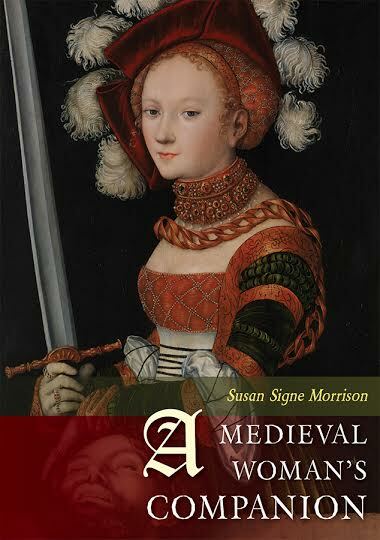 “That your excellence transcends the skill of any one speaking about you is apparent to all to whom you are known, more clearly than the very radiance of the sun.” This 11th century queen to both an Anglo-Saxon and later a Viking monarch, was regent of Wessex until her son could rule. 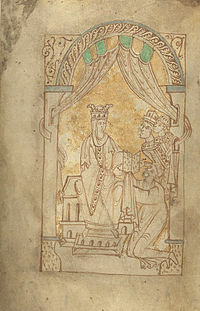 Emma’s eleventh-century Encomium (a work that praises) shows Emma with the monk author of the book kneeling and her sons, Harthacnut and Edward the Confessor, beside her. [Credit] © The British Library Board, Add. 33241, f.1v.